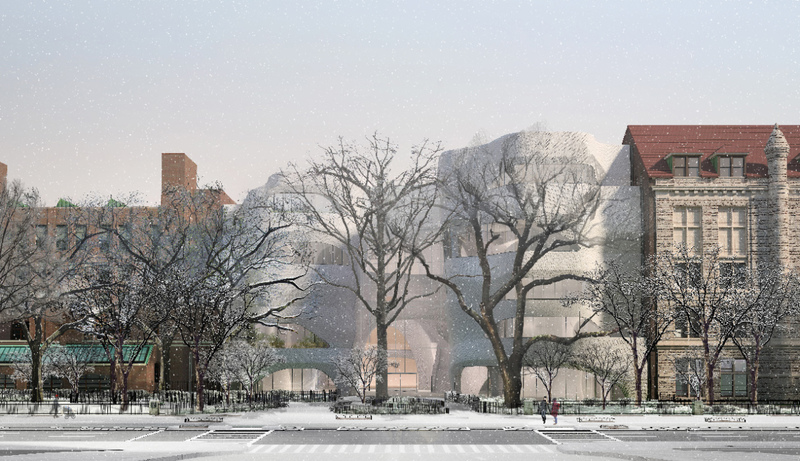 The proposed building is noticeably different from the AMNH’s current architectural language of Victorian Gothic, Beaux Arts, and Richardson Romanesque, but the Gilder Center will act as connective tissue for existing exhibition spaces. (The museum’s Ennead-designed Rose Center for Earth and Space, while modern, is also styled very differently.) In January, Studio Gang’s founding principal, Jeanne Gang, revealed the latest interior designs, which are inspired by ice glaciers and canyons to create an organic theme.